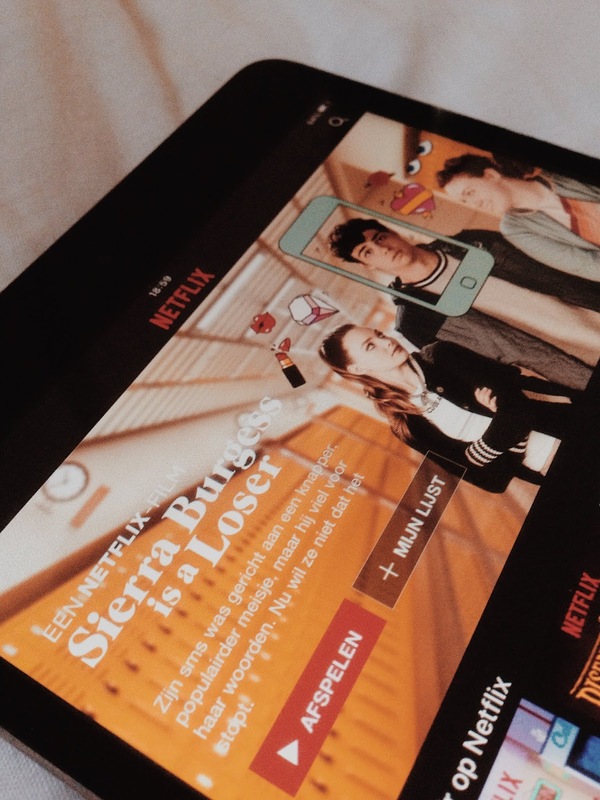 When ‘Sierra Burgess is a loser’ came available on Netflix I was really excited. I really liked Shannon Purser as Barb in ‘Stranger Things’ and I LOVEEEE Noah Centineo since ‘To All The Boys I’ve Loved Before’. So at least two great actors playing in this movie; it had to be good, right? From the beginning on it’s clear Sierra is the “ugly” nerdy type that is being bullied and has just one friend. What. Maybe that’s just my high school experience, but being nerdy is a great way to bond with others. Also what is it with nerds and unflattery looks? And of course there is also a group of “mean girls”. And of course they are super pretty and dumb. I don’t understand this trope and I hate it. But okay, I kept watching. And I got annoyed by Sierra’s nerdiness. It felt overdone. Sigh. So the plot is basically that Sierra gets a text from Jamey who thinks he’s texting Veronica. And Sierra thinks it’s perfectly fine to go along with this and pretend to be Veronica. I could not find this romance cute and I was not rooting for them at all. Sierra was catfishing Jamey for quite a while and kept lying. For spoiler reasons I will not go in detail, but for those who have seen this movie: the swap scene infuriated me. This plot was just very wrong. Ugh, I really disliked this movie and it’s hard to put my thoughts into words. So here is a list of other things that bothered me. – If you’re pretty, everyone wants to be your friend, even though you’re not very nice to others. Duh. 20.000 followers on Instagram and following 0. – Veronica’s home situation added nothing to the story, but was still addressed quite often. – If you’re a nerd you know ALL the book quotes. – Sierra is not skinny, wears no make-up and doesn’t dress very nicely, so naturally she doesn’t have friends. And people consider it social suicide if they hang out or even talk to her. (Yes they used that term in the movie. Dramatic much.) As if all people are shallow like that? – I don’t understand the whole “you’re cv is not good enough, even though you’re a great student”. – Why was it mentioned at least three times that Sierra is not a lesbian? It’s kinda obvious, since she’s catfishing a dude. – When Sierra’s friend gives her advice and she says “Yeah, yeah, I’ll follow your advice.” and then she doesn’t. Multiple times. – WHY DOES SIERRA NOT THINK RATIONALLY? – And some more spoiler-y things. Ugh. But to end this blog post on a positive note; I did like the sunflower song. If you have watched ‘Sierra Burgess is a loser’, let me know what you think of it!